Fun, informative, everything you need and want to have. All the information to make the right decision. Moving ahead to invest and/or relocate offshore is a decision that takes a lot of reflection. There is no doubt that a lot of questions pop into your head besides “how nice it would be to spend your winters on a tropical island” or maybe “a new beginning in a different country”. Often people who are considering a move like this make their first stop, a real estate website. 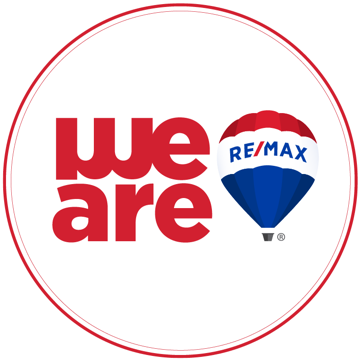 Being that we are RE/MAX, that site may very well be ours or certainly may be the name that people are most familiar or comfortable with. Our “Discovery-Investment-Tour” may be the perfect thing for you. Why you say? Easy. First we are REALTORS. REALTORS like you have in the U.S. REALTORS that are members of the National Association of REALTORS just like you have in the North America and in many countries around the world. REALTORS that follow the NAR Code of Ethic & Standards of Practice. That said, we are REALTORS in a foreign country and there is more to it than buying a piece of property. There will be other questions that you will have regarding the many aspects of a purchase and in general, living here. Attorneys, Accounting, Doctors, Insurances, Ex-Pat’s, Property Management……the list goes on. The “Discovery-Investment-Tour” puts our entire team of professionals available, for you right on your desktop, laptop, tablet or smart phone! When I say “team of professionals” that is exactly what I mean. Presently, we will have a U.S. Attorney; a U.S. Tax Consultant; a Honduran Attorney. Add to those, a local insurance professional; a representative of home, boat, car and health insurance companies. PLUS medical professionals; a couple of expats businessmen (from the U.S., that moved here many years ago), who will share their experiences in regards to transitioning here full-time or part-time. Lastly, but maybe as importantly, representatives of a professional property management company. I am a C.I.P.S. (Certified International Property Specialist), the only one in this country. On our team we have International Real Estate Professionals, Buyers Agents, along with an Investment Specialist, and people with Commercial and Developer experience. That said, we want you to have access to every profession you would or could need to give you all the information you would want to make an informed decision. On my team of REALTORs, (the most experienced on the island), we have people that have been doing this, right here in the Bay Islands for up to 23 years! We have five Agents with over 15 years experience. Over the years past we have picked a week to have a Discovery Tour tour and asked clients to come as a group. The first day of that Discovery Tour was a classroom educational series with visiting Professionals, (Doctors, Lawyers, Accountants, etc) , that would each talk for about 20 minutes and then answer questions of the participants. There is no doubt that this system works well educationally in that no matter who participated they really never thought of every possible question; others did. The downside of this system of course, is trying to get the many who would like to be here for the tour that just cannot schedule the week that is picked for the tour. Although we have had good participation in the past, we did not feel that we were providing the knowledge to all that may be interested. We are now changing that where you can come anytime you wish for the tour. Any days, any week, any month and we can provide the service that you deserve. Technology replaces people in regard to education. As time went on, so did technology, which offered us and you other options. One of those options was to put all our speakers on a series of videos. That of course does not deal with the Q & A, but it does fill the gap on the information shared, what is here, considerable knowledge and various legal and U.S. Accounting procedures that you would normally ask in regard to closings, residency, etc. In most instances the contact information for each of the Professionals, are right on the video content for your convenience. This also eliminates you wondering just how knowledgeable the Agent is in that he/she does not have to answer questions about Law, Accounting, Insurance or Healthcare. That entire informational series is located RIGHT HERE. We now also offer the “Geography Webinar”. This is for you to familiarize yourself with the island in that it varies greatly in in population, the density of that population, where what is on the island, the remote areas, and the tourism areas, that all help you, help yourself during your research. That you can watch RIGHT HERE. Our U.S. Attorney and Account has a Pod Cast Series that will give U.S. Citizens a real heads up and education on what you need to do from that aspect of your investment and/or relocation. 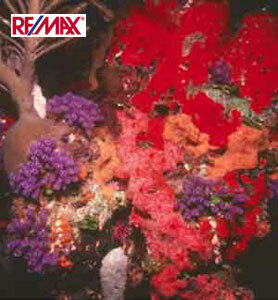 Last but not least is our MLS (Multiple Listing Service). Yes I know you have those in the U.S. but far too often you really do not have access to them, your REALTOR does and he is in charge of the search for you. This MLS has been in existence for 14 years. 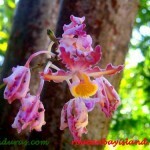 It is the only one that I know of in all of both in the Caribbean & Central or South America. Here we put the control in your hands and you do the search. You put in your budget guidelines, the size of the residence and using the mapping software even know where on the island it is. A very handy tool. RIGHT HERE. A couple of weeks before you arrive you may wish to familiarize yourself all of the above informational links. Then on you schedule your time here, and we then can have one of our quality RE/MAX Agents go with you for a day or two or maybe the week. You are welcome to research and pick your own Agent, but if you do not I can help you with that, and based on the profile that you send you we can align you with the best Agent for your goal in regard to the area of the island and what your final goals may be. With this prior notice we can set up appointments with various Professionals and give you a tour of the island areas that interest you the most. What our clients are saying………………. My wife and I have been visiting islands throughout the world and doing as much research as possible to facilitate our dream to relocate our family to our dream house on the perfect island. We have been receiving Larry’s newsletters for several years with invaluable information about the island and relocating to Roatan. Thru the MLS system, we have been tracking multiple homes of interest for the last year and a half. Although we have visited Roatan nearly ten times over the years, the actual task of relocating a family with young children was a daunting one. We had planned on visiting Roatan again this spring to start looking at homes, but after receiving a notice for the “Discovery & Investment” tour in March, we decided to time our visit and attend the tour. This turned out to be one of the best decisions we have ever made. The tour was extremely informative. We started with presentations from multiple accountants, attorneys, insurance agents and local businessmen. They were all extremely well prepared, offering information on subjects I had been researching as well as some I hadn’t even thought of. In addition, all of the presenters made themselves available throughout the week as well as for subsequent follow up e-mails and phone conversations. The tour continued with exploring the island’s various regions. While we drove, Larry and his staff of agents stated advantages and disadvantages of each region, pointed out places of interest including grocery stores, local restaurants, home improvement and furniture stores and anything else you could think of. We looked at several typical properties in each region and certainly left the tour with a lot more knowledge than when we entered. After the tour completed, Larry and his staff continued their excellent service showing us homes, driving us to appointments to visit local schools and offering great advice that lead to the purchase of our new home. 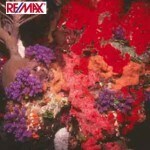 Subsequent to the purchase, Larry and ReMax have continued to be amazing. We cannot recommend Larry and the “Discovery & Investment” tour enough. On a recent trip to the island of Roatan, I was privileged to participate in a (3) day all inclusive seminar about real estate on the island, which was planned and organized by the broker and owner of ReMax, Larry Schlesser. It was to say at the very least eye opening! For openers, experts in every possible area, concerning real estate ownership and island living ,(schools, medical, cost of living, etc.) such as taxes both U.S and Honduran, island insurance, and a U.S expat and local business man made presentations and took on questions from potential buyers. From there on and for the next two days, we were privileged to tour the island and some of the most attractive properties on Roatan. These properties ranged from extremely expensive to moderate for both sales and rentals in all kinds of locations. On the evening of the final day, a sunset cruise was offered. In this informal atmosphere assurances were given to all who required further visitations and/or questions. To anyone who might read this testimonial in the future, please do not miss a chance to participate! 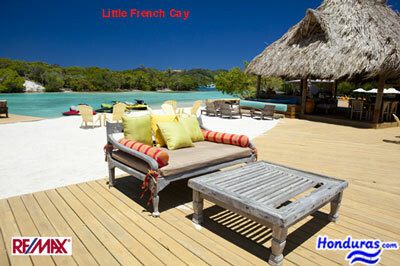 It is a winner if you are attracted to Roatan and what it offers. Hi Larry, We just wanted you to know that we enjoyed the tour very much. The information presented was extremely helpful and gave some insight into buying property on the island. We so appreciated that you had experts in the areas of US tax atty, an accountant from the island and Honduran atty, and a representative who has been in Roatan for years to give us the information that we need to make purchasing decisions. We have two wonderful The Realtor, Edi that took us all over the island to view different properties and show some of the local life as well. They were such a blessing to us! If anyone is wondering if this is a scam we can definitely say NO! All of these people were so professional and knowledgeable and all they want to do is present information that any person would need to make a decision about purchasing Roatan property. No one pushed or pressured us to do anything! Thank you for putting this all together and allowing us to be a part of the Tour. Thank you so much! Our time spent on the Roatan Investment Tour was well spent. We came to Roatan Investment Tour on a “fact finding mission”. Mission accomplished! The entire event was very well designed and incorporated far more information than we ever expected. Each of the guest speakers brought a different and useful element to the seminar phase of the tour. The speakers were well spoken and gave us the information we were looking for, i.e. communications, legal, purchasing property, residency, insurance, and so much more. The open forum for questions throughout was wonderful. The information was presented; questions were asked and answered as they arose. The tour phase of the island and properties was beyond what we expected. Because we had limited knowledge of the different neighborhoods and areas of the island, touring the island was great benefit for us. Also, because of the variety of properties we viewed, our options for purchasing were expanded. On a personal note, we could not have asked for a more personable and pleasant host(ess) for the event. 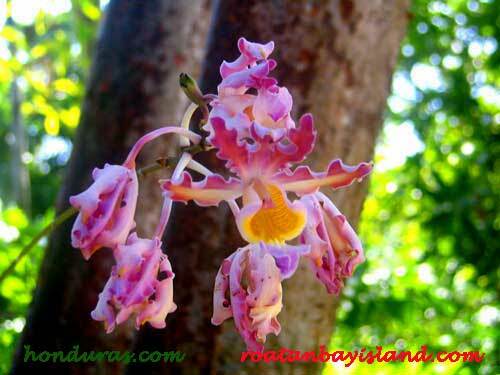 You are a wealth of personal knowledge and information about Roatan. We so appreciate the personal time that you spent with us viewing properties. Your expertise and professionalism on so many topics is extraordinary. Again, we thank you so much. As a result of the tour, we have returned home and are making plans to return to return to Roatan to purchase property within a few months. We so look forward to seeing you again in the near future. Larry, I would like to thank you for putting together the Discovery and Investment Tour we recently attended in Roatan, Moving to and adopting and island lifestyle is not an easy thing to wrap your mind around. Having the guest speakers who understood the both the stateside and Honduran implications with moving to the island was really informative and relevant to concerns I wanted to address. I will be using these contacts if I am successful at obtaining the right property on the island. Also, seeing the number of properties, the different types of properties and island locations was extremely helpful in making a sound decision of the property type I would like and the locations I would like to live on the island. PS That sunset we saw on the sailboat was staged right. Very abstract and beautiful. I felt like the kid coming out the dentist full on Novocain saying. “Is this real life?” – Dave Corcoran, Arizona.